The study of crystals is called Crystallography. 3,500 different minerals that have been identified, they all fall into one of seven crystal systems. includes the minerals diamond, galena, gold, silver, fluorite, garnet, halite and copper. The Hexagonal System includes the minerals emerald, benitoite, graphite, molybdenite, and vanadinite. The Rhombohedral System includes the minerals calcite, quartz, rhodochrosite, siderite and dolomite. This is a branch of the hexagonal system. 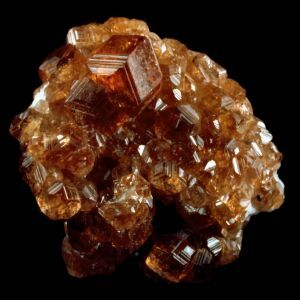 The Tetragonal System includes the minerals rutile, scapolite, wulfenite and zircon. The Orthorhombic System includes the minerals aragonite, barite, celestite, goethite, and marcasite. The Monoclinic System includes the minerals gypsum, augite, biotite, epidote, and hornblende. The Triclinic System includes the minerals plagioclase feldspar, ulexite, turquoise, and albite. Would you like to have more fun with crystals?